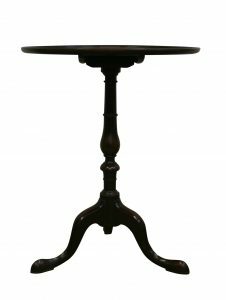 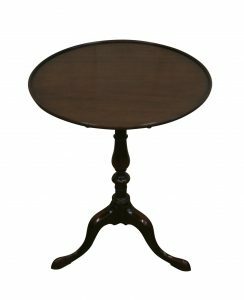 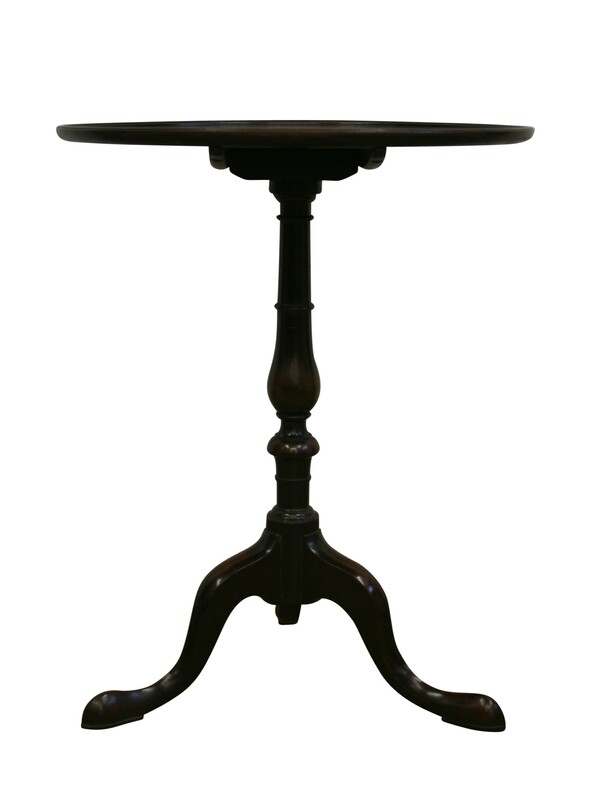 A Georgian mahogany tray-top tripod table standing on a slender baluster turned centre pedestal with three swept cabriole legs. 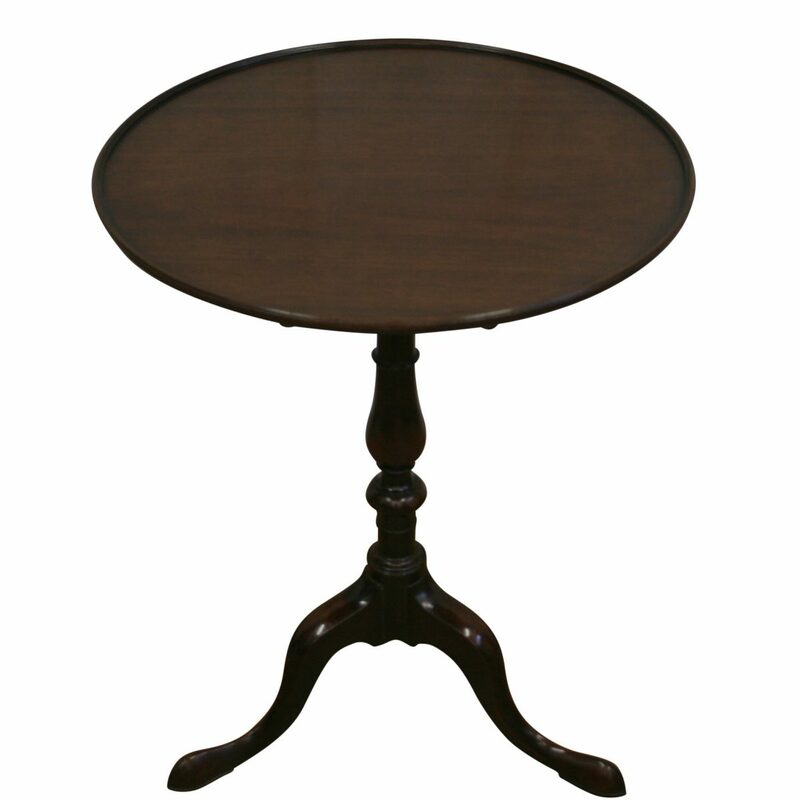 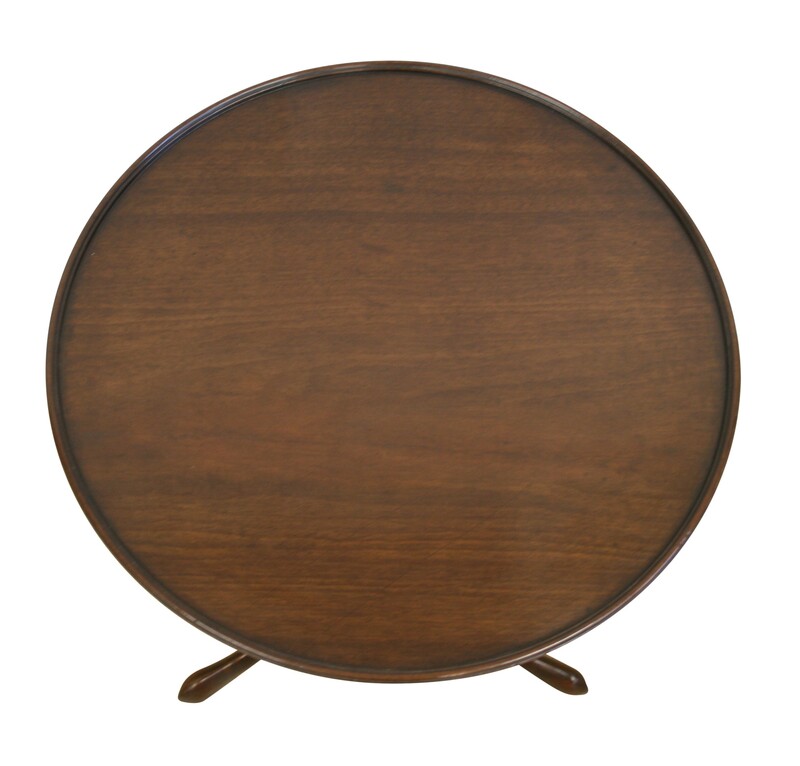 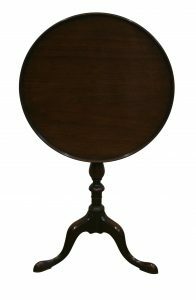 The top is made from a single piece of solid mahogany and it may be tilted up, if required. 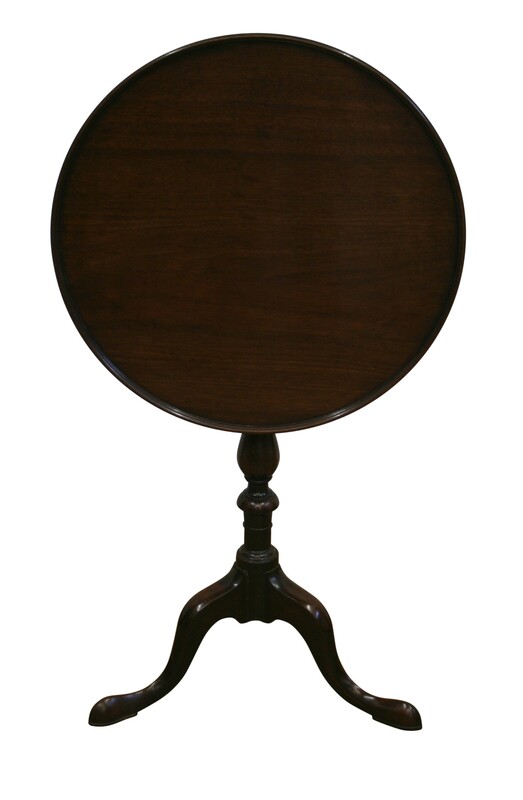 The brass banjo catch is original.